Friends S3:E8 – God, it was awful. Like many Americans, it was one of the most disturbing nights of my life. It just felt so violating. Not because conservatism was upsetting progressivism. As unfortunate as the political ramifications are, I’ve lived through tough election beats before. They hurt, for sure, but nothing like this. This was violating on a much deeper level. Because this election, at his core, had become a referendum on decency, there was a feeling of utter disgust upon realizing that maleficence could win out. And that was the worst part. When the outcome was still unknown. The uncertainty early in the night on Tuesday was unbearable. It was beyond gut wrenching during those hours after racism had stormed to an early lead. You know, when we knew but at the same time, we didn’t yet know. 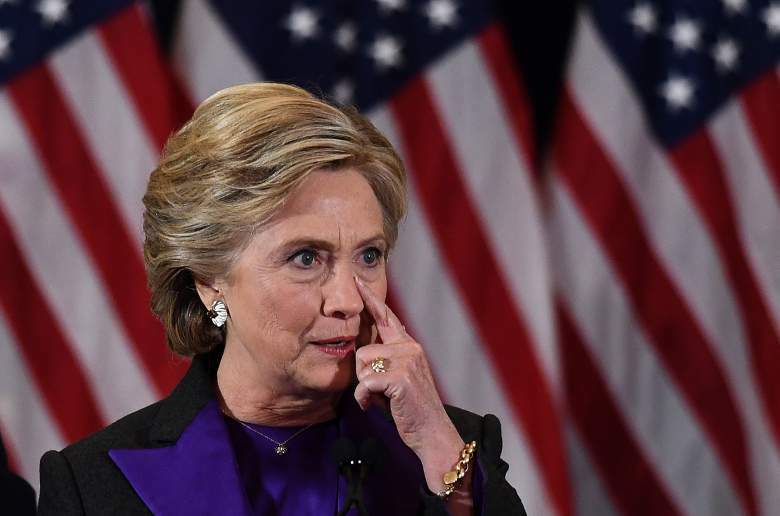 Those hours were horrible, watching and praying as it become more and more improbable, but holding out hope against all logic that somehow Hillary Clinton was going to thread the needle and stage a massive comeback in Ohio, Wisconsin, and Michigan on behalf decency in America. It didn’t happen and like every other decent American, I was crushed that a sexual predator became our President-elect. Look, I’m not going to lie. We are on day six of Trump’s America. I’m still grieving and heartbroken. Before it became clear on Tuesday night that we were experiencing one of the biggest political upsets in American history, I assumed that I would do a full post-election analyses today and be able to put a nice little bow on politics for the foreseeable future. I was looking forward to returning to the people’s work of deconstructing 20 year old episodes of Friends. Given the circumstances, I’m not emotionally or intellectually able to do that yet, so forgive me…but we may need to return to politics one more time before we take our winter break. Ted James, theLeftAhead Editor-in-chief asked me to also relay to readers that he intends to write his own postmortem piece on the election of Donald Trump before the end of 2016. We should all be looking forward to that (no sarcasm intended, despite all of our lampooning of one another…in all seriousness, Ted is an excellent political thinker and writer). Finally, for those of you who were wondering if I would even return to write the column this week because of the joke I made last Monday indicating that if Trump won the election, the Friends 20/20 blog series would be cancelled because there would be much more urgency in theLeftAhead offices to write about things of far greater importance than dissecting 20 year old sitcom episodes, let me assuage your fears. I’ve given it a lot of thought this week and the conclusion that I’ve reached is that hate won the battle on Tuesday but if we give in out of fear and start reorganizing our affairs in response, then we are allowing hate to win the war. It boggles my mind that I’m about to evoke George W. Bush, but I’m about to evoke George W. Bush. To paraphrase, he argued that if Americans stopped living our lives after 9/11, the terrorists win. Similarly, if we stop living our lives now that somebody as deplorable (pun intended) and dangerous as Donald J. Trump has been elected President of the United States of America, hate wins. Therefore, the Friends 20/20 blog series continues! Plus, given the flexibility that I have to speak on current events in this column, I can continue to use this platform as a bully pulpit to voice my opposition to everything that a Trump presidency represents. The resistance is already underway. Hallelujah. On that note, ladies and gentlemen…Kate McKinnon. See you next week. Recap in the Key of Phoebe – This is the one where Phoebe is scared to go to the dentist because every time she goes someone she knows dies, Joey informs Chandler that he saw Janice making out with her soon-to-be ex-husband, Ross trusts Rachel to babysit Ben because he knows Monica will also be home but Monica ends up banging Ben’s head on a wooden ceiling beam, Rachel and Monica try to hide Ben’s injury by dressing him up in a Rainy Day Bear’s rain suit, Chandler decides to break up with Janice to give her a chance to make her family work, and Joey, Ross, Monica, Rachel, and Phoebe use a giant poking device to thread the needle through an open window across the street and poke Ugly Naked Guy as he lay dormant to make sure Phoebe didn’t kill him by going to the dentist. Ugly Naked Guy Watch – Towards the end of the episode, Phoebe concludes that the curse of someone dying when she goes to the dentist has been broken after she calls everyone she knows. Joey immediately looks out the window across the street and notices that Ugly Naked Guy is laying dormant with the window open. Phoebe becomes worried that he is dead because of her curse so Joey organizes the group to fashion a giant poking device to see if he’s alive. Joey, Phoebe, Ross, Rachel, and Monica proceed to thread the needle of getting their giant poking device across the street and through Ugly Naked Guys window. Once they start poking him, he starts stirring which gives the gang the relief of knowing that he wasn’t dead but rather in deep hibernation.